What is a Nuclear Free Zone (NFZ)? It is the prohibition of all development, testing, transportation, deployment, funding and usage of nuclear weapons within designated borders. It was in response to the nuclear arms race of the Cold War era (1947-1991). The wording of a NFZ may vary and address part, or all, of the nuclear weapons cycle. It can be symbolic, or legally binding, and can be declared by an individual, group, community, city, state, nation, or by international treaty. At its heart, a NFZ is a direct, firm NO to participation in the nuclear arms race. It is an affirmation of all that is precious in life. During the Cold War years, the two superpowers, the U.S.S.R. and U.S. sought to deter a nuclear attack, which would precipitate a global nuclear war, by stock-piling nuclear weapons. The world’s response was to negotiate the Non-Proliferation Treaty. With the end of the Cold War, the world faces a different threat, thousands of nuclear weapons left over from that time, plus more potentially finding their way into the hands of rouge nations and terrorists, black market trade in nuclear secrets and materials. Nuclear states must demonstrate that there is no role for nuclear weapons in their doctrines or policies. The International Court has declared the use or threat of use of nuclear weapons illegal under international law and a crime against humanity. The Treaty on the Non-Proliferation of Nuclear Weapons (NPT), was signed in 1970. Presently 188 UN member states, an observer and the Holy See are parties to the NPT. U.S. commercial nuclear reactors are licensed to operate for 40 years. Currently there are 104 nuclear reactors in the United States more than half of which are over 30 years old. 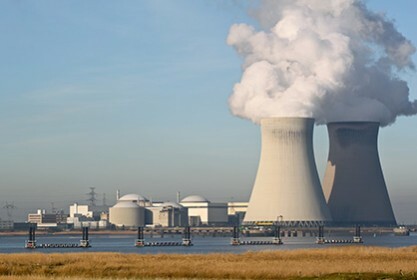 We are deeply concerned about the number of nuclear reactors in the U.S. and around the world that are not safe due either to age or effects of severe weather conditions. What can we do to create a nuclear weapons free world? Save us then from our obsessions! Open our eyes dissipate our confusions; teach us to understand ourselves and our adversary! Save us from the compulsion to follow our adversaries in all that we most hate, confirming them in their hatred and suspicion of us. Resolve our inner contradictions, which now grow beyond belief and beyond bearing…..Teach us to be long-suffering in anguish and insecurity. Teach us to wait and trust. Grant light, grant strength and patience to all who work for peace, to this Congress, our President, our military forces, and our adversaries.